It encompasses 55 acres of landscapes, woodland and ornamental gardens as well as public sports facilities, a refreshment house, a lake, play areas, bowling greens, Saltwell Towers, the animal house, an education centre and a maze. 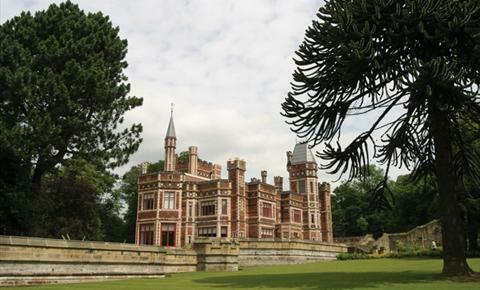 Saltwell Tower’s a fairy tale mansion house, no houses a visitor centre and cafe. Park open dawn till dusk.